Yes, according to the below infographic from market research company, Lab42, 50% of Facebook Fans like brand pages more than your website. Why? Well, among the 1000 social media users surveyed, it was discovered how liking a brand influences the consumer experience. Here’s what they found: 82% of users think that Facebook is a good place to interact with brands and, out of those people, 35% say that they feel brands listen to them more on Facebook. 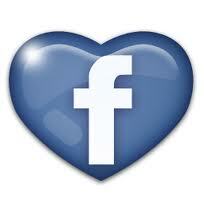 An important stat for B2C is one of the top reasons to follow a brand on Facebook is for coupons and discounts. The study revealed that 77% of those who “Like” a brand on Facebook have saved money as a result.” So, if you’re not running promotions on your page, you probably should be. If you’re wondering how to get people to ‘Like’ your brands Facebook page? Check out the below infographic. Lab42 asked respondents to identify what motivated (and prevented) them from showing their support for brands on Facebook. The results are interesting, and they actually bring up a few new feature ideas Facebook should consider if it wants to keep business owners and marketers happy. Take a look for yourself to see what social media users are saying. Thanks Lisa – this is compelling information.